A new coalition has formed in San José, Calif. – We Are People Without Borders (Somos Gente Sin Fronteras). Two dozen activists from the coalition, mostly youth of color, mounted a spirited rally in front of City Hall Dec. 4 with a dual focus. Activists spoke and held signs and banners in solidarity with the caravan of thousands of Central American asylum seekers camped near the Mexico-California border, as well as the many local residents who could be displaced by the huge mega-complex planned by Internet search giant Google occupying up to 50 acres of the city’s downtown. 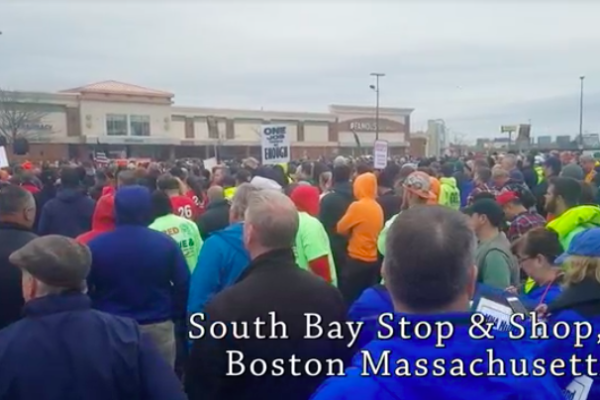 The rally in front of City Hall coincided with a meeting of the City Council taking up the Google plan, which by the time it ended had involved more than 10 hours of debate, protests and arrests. Shortly after 9 p.m., officers used bolt cutters to remove protesters who had chained themselves to chairs in the council chambers before arresting them. Then the council chambers were cleared. As reported in the San José Mercury News by Emily DeRuy: “More than an hour later the council returned to empty chambers, with police directing everyone but staff and press to what had been an overflow room to watch a livestream of the deliberations, fueling criticism that the city was operating behind closed doors. “Outside, protesters chanted — the sound filtering into the largely empty chamber. Serve the People is part of the new coalition, and its activists have led the fight over the past few months to block Google’s plans. Why does the U.S. deny entrance to the Central Americans? Who’s responsible for this human exodus from Central America? 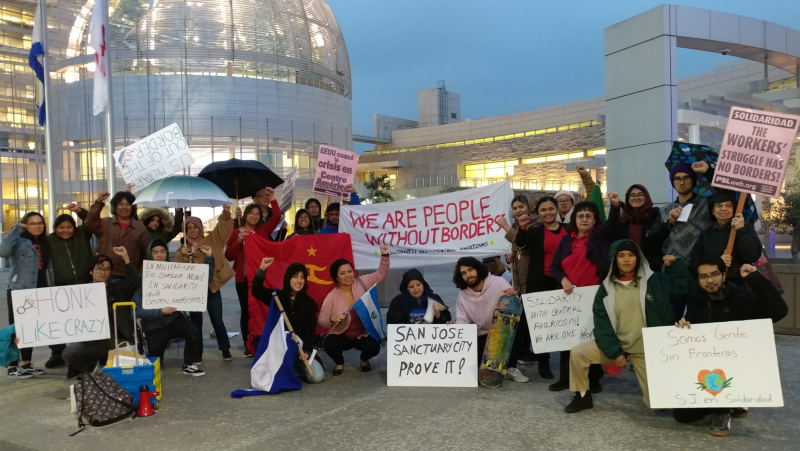 Also part of the coalition and/or participating in the City Hall rally were activists from Anakbayan Silicon Valley, Student Advocates for Higher Education, San José Peace and Justice Center, and Party for Socialism and Liberation. Estephanie from SAHE announced a campaign on the nearby San José State University campus to collect money and clothing for caravan refugees in desperate need. At the end of the rally, Ortiz appealed for donations to support a struggle that is far from over.